The number of children receiving musical instrument tuition in Scotland's schools has dropped by more than 1,200 over the past year. The figure coincides with more local authorities starting to charge for lessons, or increasing their charges. There has also been a big drop in the number of tutors in schools since 2007. The Education and Skills Committee at Holyrood is holding an inquiry into music tuition in schools, and is due to hear evidence on Wednesday. In the first recorded fall in instrumental pupil numbers, the figure dropped from 61,615 in 2016/17, to 60,326 in 2017/18. Over that time, there has been an increase in the average level of fees charged across Scotland, and four local authorities have introduced fees for the first time. North Ayrshire by £18 (10%) to £198. Dumfries and Galloway has removed instrument hire costs which were £49.50; fees remain at £200. Edinburgh, Eilean Siar, Glasgow, and Orkney councils do not charge for lessons. Dundee and West Dunbartonshire provide free lessons, but charge £85 for instrument hire. All the others have kept charges at the same rate as the year before. Many, but not all areas, have concessionary or free tuition for children from households with limited income, and many run schemes where those studying music receive free instrument lessons. Authorities that have charges have seen a 3% decline in numbers, yet the numbers in non-charging authorities have increased by 22%. 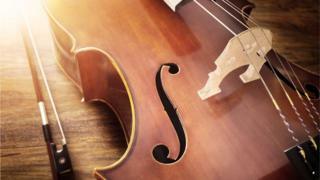 The EIS union said the increased and introduced charges have had a "catastrophic impact" on the numbers of pupils accessing instrument lessons. It claimed that since West Lothian introduced the £354 fee this year, more than 1,000 pupils have discontinued tuition, with one tutor reporting that they had lost 78% of their pupils. The union said that in East Lothian and Midlothian the number of pupils had dropped by around two thirds. A spokesman from East Lothian council disputes that figure, saying registrations had fallen by a third, from 1,200 to 800. Last week, the education and skills committee heard evidence from young people, with Alice Ferguson from the Scottish Youth Parliament speaking to MSPs. Image caption Alice Ferguson and Catherine Mackie gave evidence to Holyrood's education committee last week. The West Lothian pupil said: "I know a lot of my friends have now dropped out of music just because they can't afford it, which is ridiculous. "The council are wanting to reduce inequality, but by charging for music, they are increasing inequality." The EIS also highlights a reduction of around 350 school music tutors in Scotland since 2007. The chairman of the Heads of Instrumental Teaching Scotland will give evidence to the committee this week. In his submission, Kenny Christie said: "Although we recognise the very real financial challenges facing local authorities and public services across Scotland, we fundamentally believe in the transformative power that engagement in the arts, music, sport and all cultural activities can have upon the lives of our children and their families. "Substantial research is readily available demonstrating the significant contribution that learning to play a musical instrument can have on a child's cognitive development but also in areas such as confidence, self-discipline, in the development of fine motor skills and in enjoying a happy healthy lifestyle." He said he wanted to "explore ways in which we can look to a future when all of Scotland's children and young people can enjoy the same equitable access to the benefits that a wonderful music education can bring being something that we can say is of the highest quality and uniquely Scottish."